It seems like I've been on a piCture pOlish purple kick lately... To my defense, the lovely girls from piCture pOlish do know their shimmers! 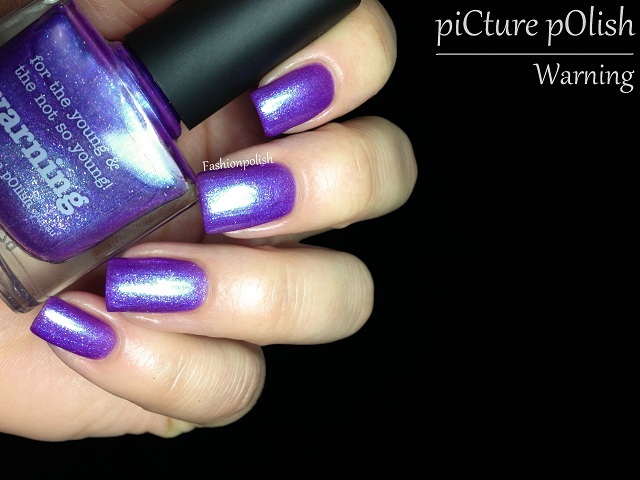 Warning is a completely unique warm purple shimmer with an intense and saturated effect. It's literally packed with small translucent flakes that set it apart from anything I can think of. Formula was perfect and I used 2 coats plus topcoat in these swatches. Stay tuned for more piCture pOlish swatches no later than next week but in the meanwhile, if you haven't seen their new collaboration shades yet, simply follow the links below and be prepared for some massive awesomeness!!! piCture pOlish Warning retails for AU$11.50 and can be purchased directly from piCture pOlish.com.au or through their international network. That is a stunning purple! This is about my all time fav blue ever - I loved loved loved OPI DS Royal esp with a sheer topper that I have from an old scented Revlon that gives Royal DS a little bit more of a pinky magenta flash. It takes about 5 coats of DS Royal to get to opaque - but this one by PP is far less - they are not dupes but they do the same thing to me all the way down to my toes! This looks sort of similar to Jessie's Girl "Confetti", what do you think? Beautiful. What kind of clothes do you match with this manicure? Ugh, that is so amazing! Beautiful swatches! And thank you so much for mentioning me sweetie!! <3 I cannot wait to see Atomic on you!!! 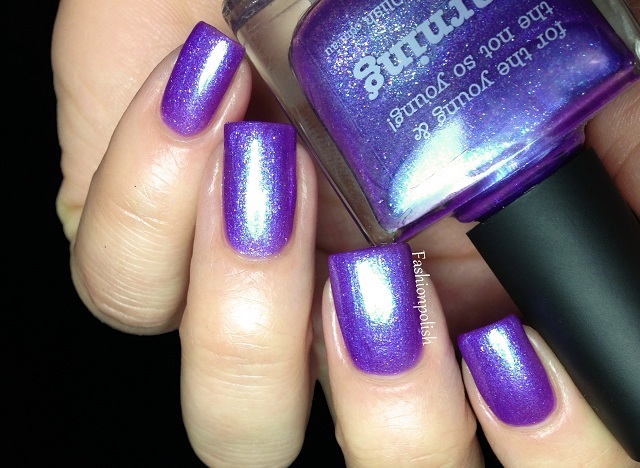 Beautiful purple! I love that picture polish did these collaborations. Can't wait to see your swatches of the other colors! WOW! What a stunning color. I LOVE Focus and Mallard...but Focus the BEST!! !